The PSM 1000 Personal Monitor System from Shure brings personal monitoring to its most advanced level yet. 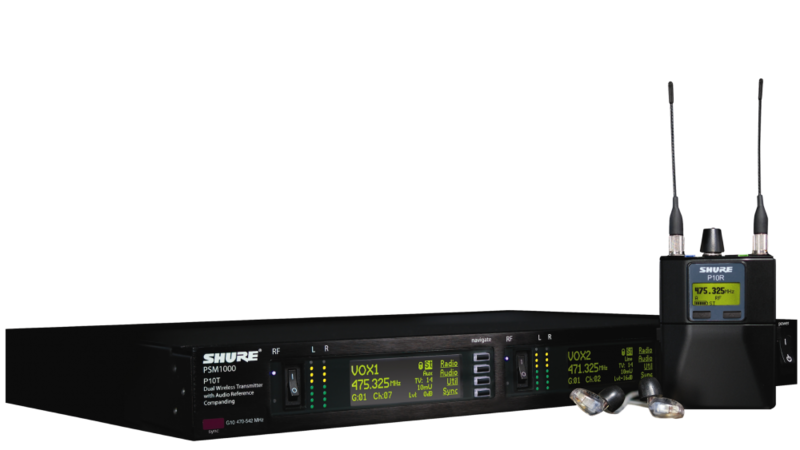 The full-rack, dual-channel, networkable transmitter is ideally suited for the demands of professional touring and installation applications, and the diversity bodypack receiver delivers pristine RF signal and audio quality. Networkability over Ethernet connection enables remote control of transmitter functions and comprehensive frequency coordination via Wireless Workbench 6 software.